I spent an exciting half an hour watching these giraffe at Lake Naivasha in Kenya. 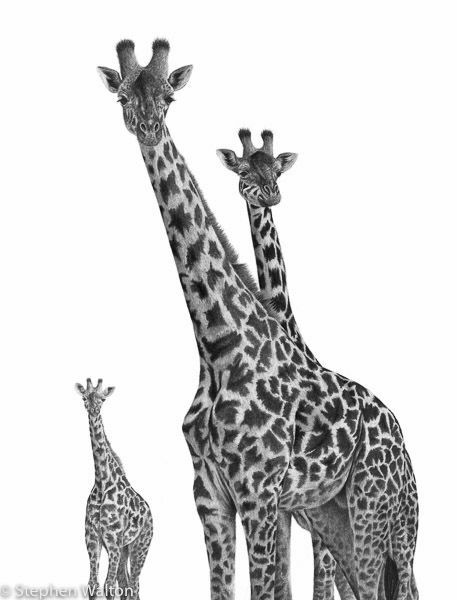 With the drawing I wanted to emphasise the thing giraffe are famous for. I kept the composition simple to allow this and opted for three animals again.